He looked up at me like I was an alien. He’d probably never seen a pasty, shabby haired oriental specimen like me. If I were in his shoes, I’d probably have turned and run, but he just smiled up at me with a fearless curiosity. It’s funny how kids are like that. His name was Joseph, a tiny 4 year old with a smile that would melt even the mightiest of men. As we sat beside each other on the concrete floor I tapped my finger on the page in front of him; my way of telling him to look down and write. My job today was to teach this one child, out of a class of 20, to write the alphabet, and we were up to the letter…..A. I guess if I had a Chinese alien sitting next to me I probably wouldn’t get much work done either. Finally, he looked down and attempted to mimic the perfectly scuplted ‘A’ I had written for him. I watched, almost in slow motion, as he pressed the pencil to the page with his tiny fingers, eventually pushing so hard that the lead snapped off with a blunt crack. He froze for a moment and then looked up at me wide-eyed, and we both smiled at each other before laughing childishly at the now broken pencil lead rolling on the paper before us. His pencil was only about 5 centimetres long anyway, perhaps the length of a toothpick, and he was holding it like a spinning top rather a writing tool. I turned and shouted out to the teacher. I hunted the room for one and to my surprise, found nothing. Not even a sharpener. So, we sat there; a 4 year old Tanzanian kid and a Chinese accountant, staring at our broken pencil wondering how we were going to write the alphabet. How sad. I actually do. Finally she handed it back to us, and now instead of a 5 centimetre pencil we had a 3 centimetre pencil, which I was starting to look at very differently. This wasn’t just any old pencil anymore. If anything happened to it, well, class would be over for the day. You know that adrenaline spike when you’re on the last stage of Super Mario and you’ve only got one life left? Yeah, it was something like that. Seconds later, Joseph grabbed at it blindly, obviously unaware of the severity of the situation. “Woah!” I screamed, holding my hands out. He jumped with fright, and looked up at me, startled. This kid must think I’m crazy. I smiled as if to say “sorry, just kidding”, and then winced as I watched him etch multiple letter A’s into the page, his fingers wrapped awkwardly around the 3cm stub of lead. I was convinced he was going to break it, but he didn’t. Perhaps he was aware we were in the 4th quarter after all. I stared at him, amazed, admiring the intense concentration on his face as he tried tirelessly to sculpt each letter perfectly, one after the other. His fingers shifted continuously, trying to find some sort of grip on his tiny stump of lead, and as impossible as it was he soldiered on, completely zoned out without a care in the world. As you can see, it’s a moment I remember quite vividly. But it’s not just because it was funny, or different. It’s because it was the moment that it all hit me- a cold, sudden realisation that the problems here were so much deeper than I had imagined, and that I simply did not have the power to make any real difference to the lives of these kids. 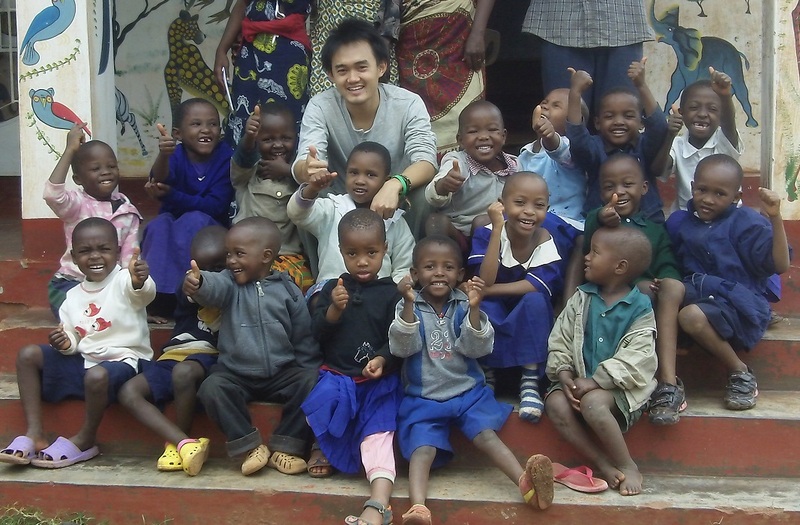 That was my first day as a volunteer in Tanzania. I sat on the bus home and thoughts bounced through my head like a pinball. I had come here to escape the world of corporate indifference, to try and do something ‘meaningful’, to give my time to something that would actually make someone’s life better. But the reality, as I was discovering, was that the problems here were far bigger than anything I could hope to solve. But, first things first. As soon as I got back to the hostel I dropped off my stuff, grabbed some cash and headed to the store to buy a crapload of pencils. The first week was the hardest. I soon learned that the kids were not afraid of me. When I told them to shut up they’d laugh and hit me, when I told them to sit down they’d stand up and run around. I quickly learned that to have any influence on them I’d first need to earn their respect. In our status-obsessed world we often have titles and money to hide behind but in their world that was all meaningless. Kids are too smart to be influenced by labels. I knew that if I were to form some kind of bond with them, I had to earn a mutual respect and trust with them based on nothing but my character, and, as they say, kids can be great judges of character. It was a frightening and humbling lesson – I’d spent my whole life working towards corporate success, but behind all that, who was I? As a person, why would a kid trust or respect me? I was forced to really look at myself, reassess who I was and what made me a person of value on the inside. It was one of the most difficult things I’ve ever experienced, and who would’ve thought it’d be put upon me by a bunch of African preschoolers. Before long the second week rolled around, and the teacher decided it was time to put me on the spot – she simply called me to the front of the room and said, “Today, you teach English”. I stood there staring at her, like, what? Really? Normally I would take care of a select 4 or 5 students, either the youngest group or the oldest group, in a corner of the room, and even that felt impossible at times. Teaching a class of 20 just seemed like a joke. I shuffled to the front while giving her a dark smile, my heart thumping like a drum. And then, I thought to myself, what would I want my weird looking Asian substitute teacher to be like if I were 5 years old – a boring guy who stood at the front and talked, or a crazy looney who did a whole bunch of stupid stuff? So, as soon as I got to the front I just ran around the room, jumping up and down and high-fiving all of them. Of course, they went crazy. Funnily enough, the kids loved it. From that day on, they would greet me every single day with a handshake and a “Hello, my name is ____________, nice to meet you!” I probably should’ve told them you only say it the first time you meet someone, but they were having so much fun that I just let them roll with it. But there was a greater lesson in all that, which was the fact that they really were learning things from me. And I realised that if I could teach them that, I could teach them anything. So I wondered – what should I be filling their young little minds with? Finally I understood the mighty Spiderman – with great power comes great responsibility. Over the next couple of months we slowly built that student-teacher bond. I taught them to make paper planes, to sing “We will rock you” by Queen, and to focus a camera before taking a photo. They taught me their favourite songs, showed me their favourite games and taught me how to eat the local food. I began walking students home after class, where I would see their homes and meet their families. It was an emotional rollercoaster and in all honesty, left me feeling completely powerless. Could I really help these people? They lived in homes with no running water, no electricity, no toilets, usually sharing a bed with 2 or 3 other people and being raised by grandparents or single mothers. Where would I even begin? Two months flew by, and before long it was time for me to leave. Surprisingly, the goodbyes were easier than I’d imagined. There were no tears, and no last minute phone calls to try and push my departure date (which I’d already done twice). I was at peace with the decision, and although I would’ve loved to stay it felt like the right choice to leave rather than continue getting more and more involved in their lives. Besides, deep down, I knew it was only a matter of time before I returned. After my experience, my feelings on voluntourism are extremely mixed, particularly when it comes to working with children. All of a sudden I was a part of their lives, and then I was gone just as suddenly as I had arrived. I can’t help but wonder if I further contributed to the abandonment issues so many of these kids already have. It’s an issue I feel strongly about, as volunteering in Africa seems to be a popular holiday choice these days, but I suppose I’ll leave that discussion for a later post. For now I think the big question to ask myself is, did I really make a difference? I don’t even know if those kids will remember me 10 years from now. What did I add to their lives, other than a few laughs and distant memories? In what way did I make their lives better? I really do struggle to find an answer. In fact, I think the person who benefited most from the whole experience was…me. As kids we’ve all been told to “finish your dinner, because children are starving in Africa”, and by the time we grow up I think most of us are completely desensitised to it. For that reason I wasn’t expecting to be too shocked by what I saw, but I was. Poverty has far deeper effects than I had imagined, and is a mixture of so many different causes and problems. Solving it will be a far more complicated affair than simply buying food and feeding everyone. That doesn’t mean the people are any less happy, though. In fact, it was quite the opposite. Their lives were full of laughter and joy and they were all incredibly rich in spirit. While many cultures today are all about material wealth, there’s were all about community and family, and when you think about it those values seem to make a lot more sense. That was a powerful lesson for me – I realised my whole life I’d been chasing the wrong things, and there was a lot of self-reflection going on after I returned home. I guess they did learn something after all. Have you volunteered before? 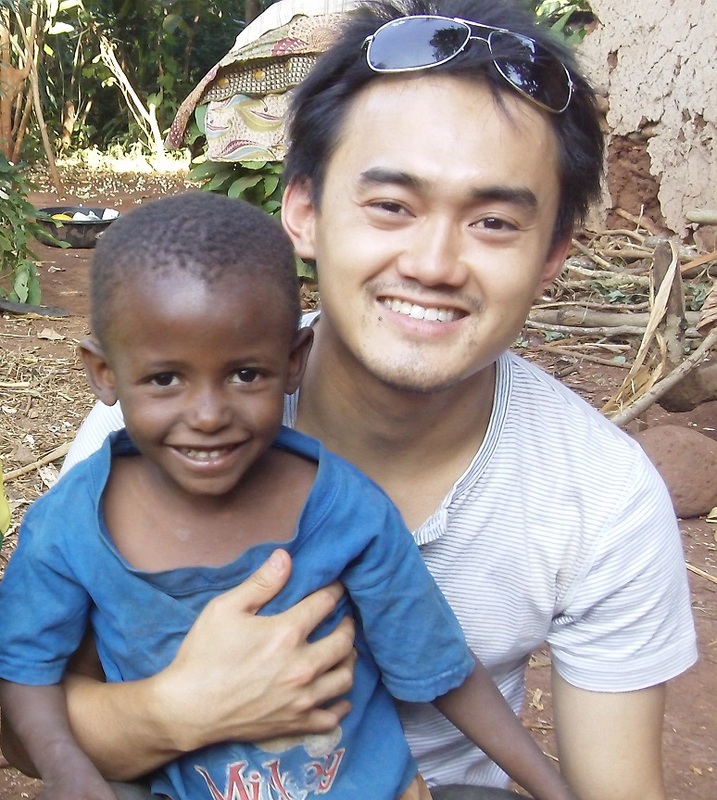 What is your opinion on voluntourism? I’d love to hear your thoughts. There are many “pay-to-volunteer” services around that are quite expensive. My volunteering experience was free and I arranged it myself without the help of any agency. If you would like to learn more about how to do this, you are welcome to send me an email. You can also check out Grassroots Volunteering, a great online resource for ethical volunteer opportunities. My friend Dorota also has a great post on responsible volunteering here. Wow. I love your story! I also wanted to volunteer for kids. I’m imagining myself in the same situation sitting there with all the kids like on your second week of volunteering. I would be worried what they will think of me and if they would like me. I guess from your story, it showed children doesn’t have prejudice/bias perception of the world…just yet. I’m relieved it work out very well for you. More power on your ongoing project! Hi Echo, thanks for reading. It really is quite nerve racking getting in front of a bunch of kids, especially if you’re like me and have no teaching experience. But as we know, things like that always turn out to be extremely rewarding in the end 🙂 Hope you’ll find your opportunity to do the same one day. Sweet story Bren and it sounds like an amazing experience and glad you could find a program that didn’t charge you. The ones that charge get me jaded because when I was looking for a program like that, it all cost like $3000 for 2 weeks in .. Cambodia or Nepal, etc… You know the cost of living isn’t that high. For those, I think it impacts the volunteers more than the kids. One can only hope the exhorbitant prices you pay, go to the program vs. the middleman company arranging it. Thanks Christine. Yes I was very very close to paying a few thousand dollars to i-to-i for the experience but luckily found other options. It just feels a little too opportunistic that these companies are making money off impoverished communities. If you’re interested theres a few good sites you can use on my resources page. 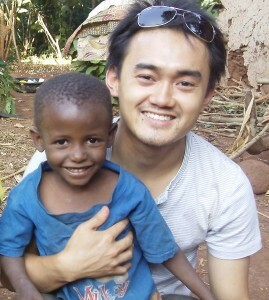 I started volunteering in Tanzania in 2004, and a little different from your story, I never went home. I started off in Dar and now I have been in Moshi for 6 years. I absolutely love it here and I loved both of your posts on Tanzania. 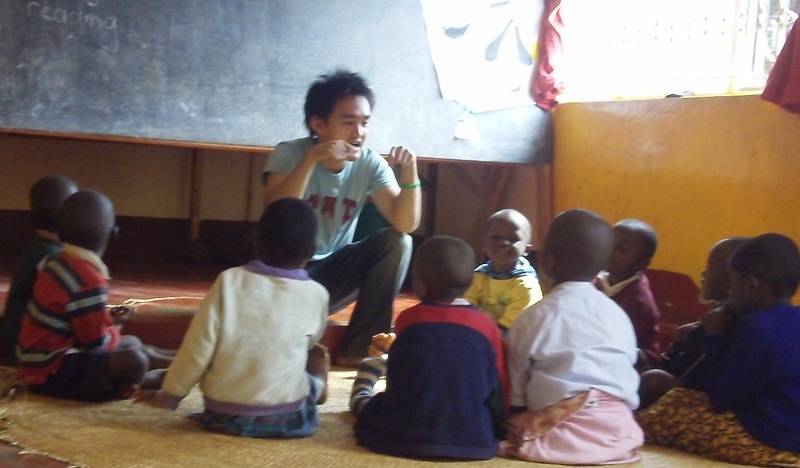 Now, I teach Swahili online to support my volunteering here full time. I will share your story with my students and volunteers that come here. I like how you made all the connections and discovered so much! Ukirudi tena, karibu mailisita! I know a couple of people with stories similar to yours 🙂 You probably know a few in Moshi yourself. Thanks for sharing and all the best. Thank you for the stories and the way you have managed to remain positive and inspiring. I was born and grew up in a village (Mamba Vunjo) about 25 miles east of Moshi town. Please keep up the good work. I am certain the children will never forget you. Wow! What an amazing story. I’ve been reading so many posts recently, trying to wrap my head around what it is going to be like teaching and volunteering in childcare in Tanzania. I leave in 89 days! While reading this post I felt like I was right there with you! Also, I will definitely bring some pencils with me. Awesome 🙂 Do you know where you’re teaching?